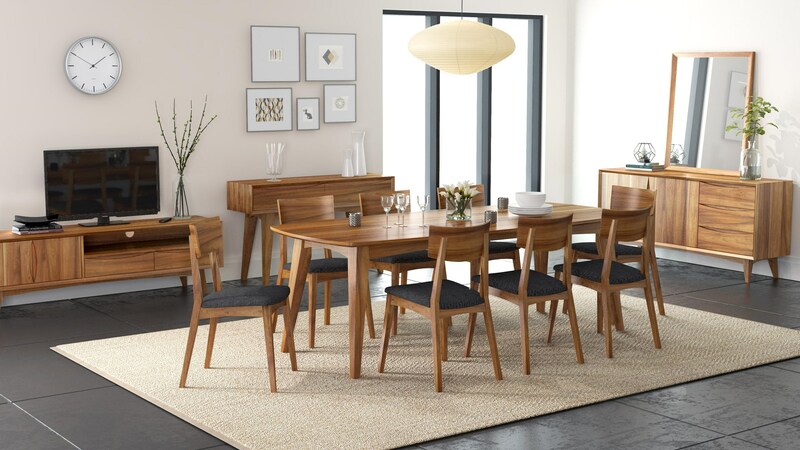 Capture the effortless sophistication and natural warmth of mid-century modern style with this dining set. The table and side chairs are marked by clean lines and splayed legs for classic mid-century modern silhouettes. Upholstered seats on the chairs give the set a more tailored feel for a look of relaxed refinement. Package includes table and four chairs; additional chairs sold separately. The Berkeley 5 Piece Dining Package by Global Home at HomeWorld Furniture in the Hawaii, Oahu, Hilo, Kona, Maui area. Product availability may vary. Contact us for the most current availability on this product.